CIRCLE HOOK MARYLAND REGULATION FOR 2018 - BAIT SAVER CIRCLE HOOKS ARE GOOD TO GO! FISH ARE BITING! LURES WITH BAIT SAVER HOOKS ADDED ARE DOING THE TRICK! We are proud to say our awesome BAIT SAVER CIRCLE HOOKS are considered “inline” or "non-offset" and meet the requirements of the new Maryland law regarding circle hooks. Please check out this link to a recent article by Captain Brian Mayer of Marauder Charters written about Bait Saver Hooks in Fish Talk Magazine regarding this issue and how he uses Bait Saver Circle Hooks for trolling. 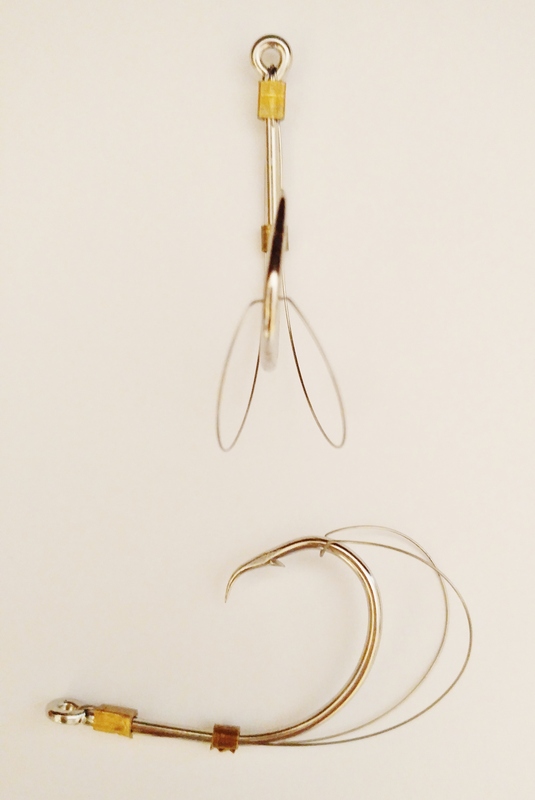 Circle hooks can greatly increase the survivability of striped bass after catch and release due to shorter de-hooking times and reduction of deep hooking. Area covered by emergency regulation - Maryland's portion of the Chesapeake Bay and its tidal tributaries. Anglers must use non-offset circle hooks when live-lining or chumming. Anglers must use non-offset circle hooks or "J" hooks when using fish, crabs or worms as bait or when using processed baits while not live-lining or chumming (treble hooks are prohibited). A proposed regulation to keep these temporary regulations effective through 2018 and 2019 is already in progress. The department is accepting public comment on these regulatory changes through May 29, 2018, and has also scheduled a hearing. The hearing will be will be held at 6 p.m. May 17, 2018, at the Annapolis Friends Meeting House located at 351 Dubois Road, Annapolis, Maryland 21401. Appropriate accommodations will be provided upon request. Please visit our Changes to Fishing Regulations page and click on HOOKS, BAIT, STRIPED BASS — May 16 through Dec. 15 for detailed information about the hearing and to submit comments. ORDER your BAIT SAVER HOOKS today at baitsaverhooks.com. Tim and his big catfish! CATFISHING with #5 Bait Saver Circle Hooks and cut bream for bait. Our buddy, Tim, caught these beauties using a #5 Bait Saver circle hook and cut bream for bait. These big cats were no match for the Bait Saver!